A set of two photographs from the year 1900, marking the commencement of the 20th century. 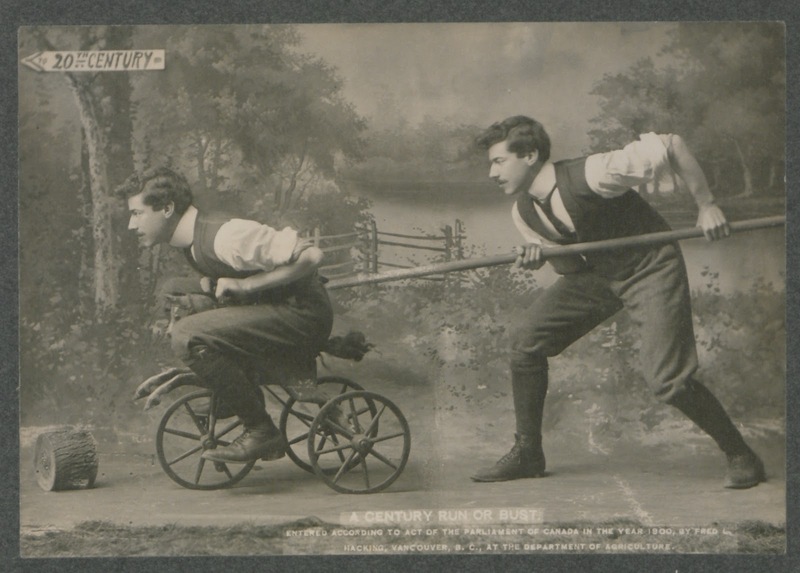 The first, entitled “A century run or bust”, shows a man riding a child’s tricyle, being pushed with a stick by another man, towards the direction marked as the “20th Century” by a sign on a nearby tree. 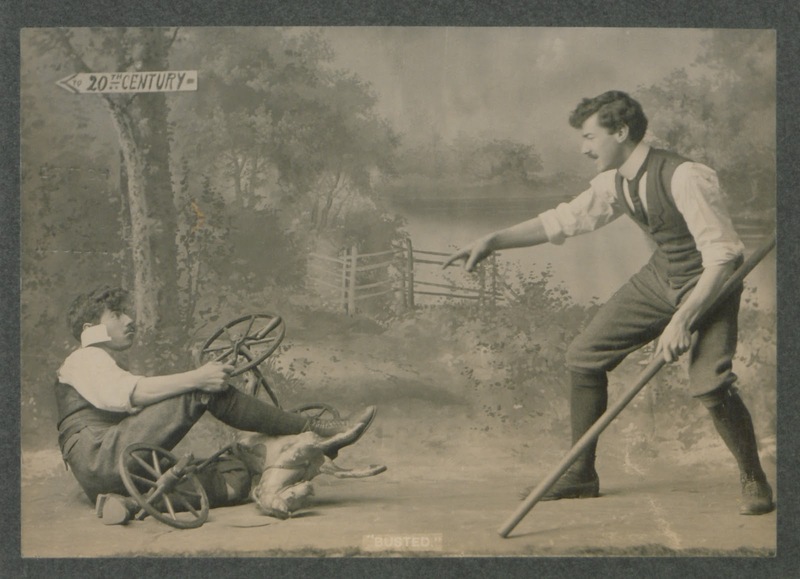 The second photograph, entitled “Busted”, shows the man falling off, and destroying, the tricycle, and being mocked by the second man.